With utmost respect, the reason of my writing to you is that our (Foundation Name) has arranged a program to collect Zakat from all the reputable and good families of the area to help the poor women and girls (Describe in your own words) to achieve their goals in business, education and other methods of making them independent. We are mostly helping the women from the rural areas. And we also help women against domestic violence and other heinous crimes against women. (Explain the actual cause and situation). Sir, I would want you to give the amount of Zakat you pay every year to the (Foundation name), so that, these women get some sort of support from your side. (Cordially describe your requirements). I expect your reply to be in the affirmative. [Note: Zakat is the annual payment made by Muslims to support those most in need. By donating a percentage of your wealth in order to help those less fortunate than yourself, you can please Allah (SWT) while supporting your brothers and sisters across the world. 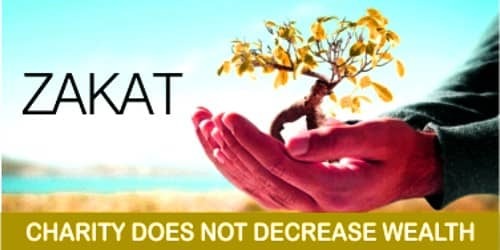 As defined by the Zakat rules, those eligible to pay must be: Muslim, Free, Of sound mind, Past the age of puberty, Have positive cash or goods flow and Have a total personal wealth higher than the Nisab value.